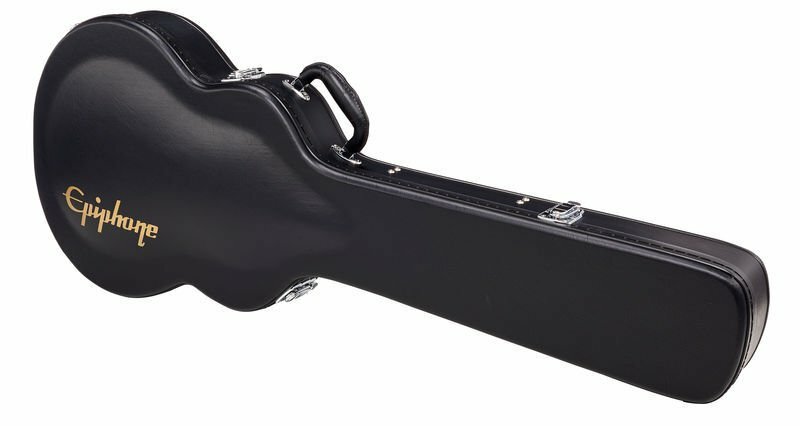 Epiphone ES-339 Electric Guitar Case Designed specifically to fit Epiphone's ES-339 Semi-Hollow Electric Guitar, this Deluxe Hardshell case offers top quality protection. With its sleek Tolex covering, the Epiphone Deluxe ES-339 Electric Guitar Case features padded plush lining, heavy-duty handle, accessory compartment, super-tough hinges and draw-bar latches. Contoured design saves weight while still providing maximum protection. Epiphone makes this guitar case especially for your ES-339.